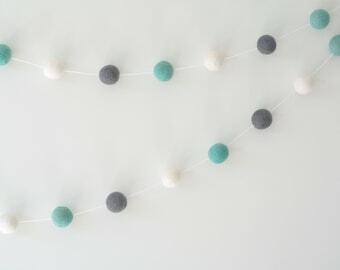 Our Aqua/Dark Mint, White, mid Grey and Black Felt Ball Garland is a fun gender neutral addition to your little one's nursery, birthday party or baby shower. 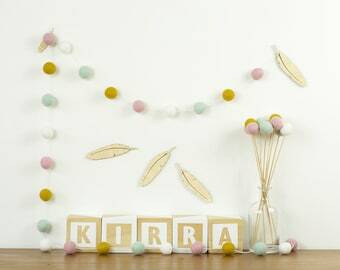 Add a bunch of colourful Pom Flowers to match! 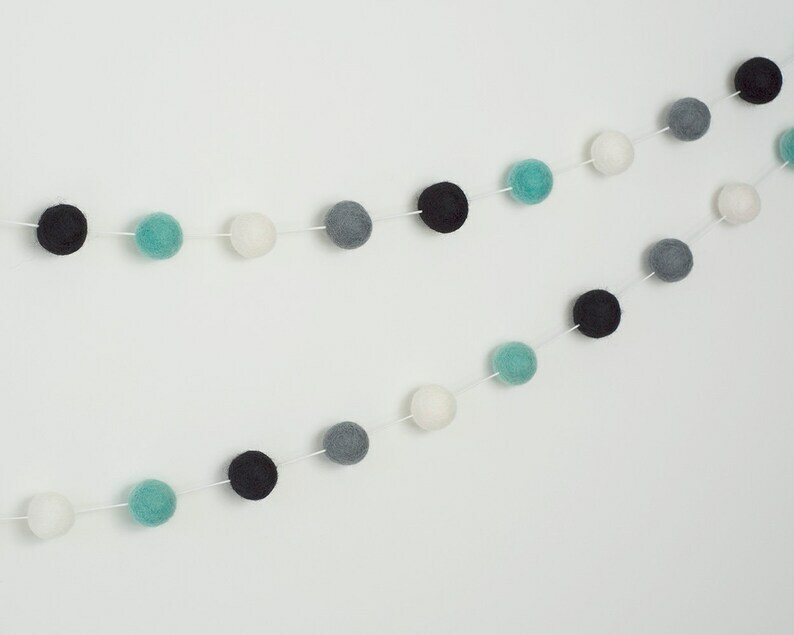 Made by hand using beautiful eco-friendly pure wool Felt Balls carefully threaded onto a White premium quality waxed cotton cord in our solar powered studio in beautiful sunny Brisbane Australia. 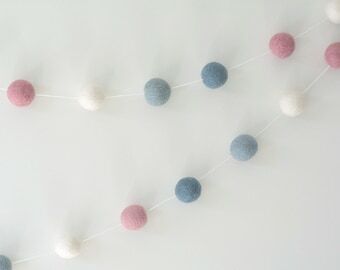 <>10 Felt Pom Flowers. 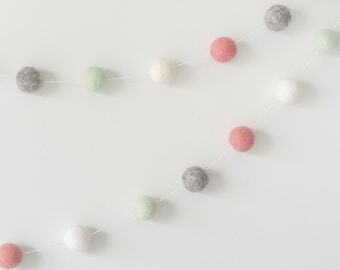 Made by hand using our beautiful eco-friendly pure wool 23mm (approx. 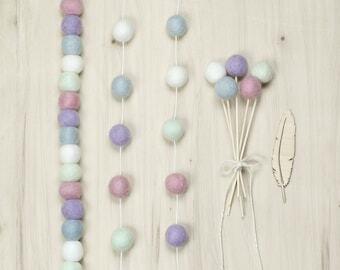 1 inch) Felt Balls carefully attached to a lovely sustainably sourced bamboo stem 15cm (approx. 6 inch) or 25cm (approx. 9.8 inch) in length. 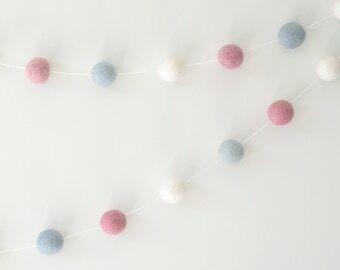 There is a knot at each end to keep the Felt Balls close together and then extra cord is left which can be used to form a loop for hanging over hooks or just cut the excess cord for a cleaner look when draping over pictures or shelving.